All ACE Cultural Tours tours, river cruises, expedition cruises, and adventure trips. Find the best guided trips and expert planned vacation and holiday packages. 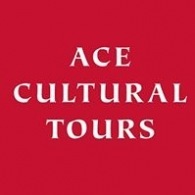 Average rating of 0.0 for all ACE Cultural Tours trips. Enjoy the cultures on eastern Mediterranean island of Cyprus of Europe and the Middle East . See the artefacts that reflect the island’s diverse history. See the varied heritage of represented by a wide range of archaeological sites, standing monuments and museum collections. Visit the capital Nicosia 16th-century walls on monuments and museums. See historic houses on Denmark. Visit the great royal palaces from Denmark’s 16th and 17th-century international power. Enjoy sumptuous interiors, extremely likeable Classicism. Visit the Moltke Palace in Amalienborg complex, Denmark’s outstanding interior in the Rococo style. The Nile Lily will cruise at a leisurely pace, mooring on the banks of the Nile beside a village or in the open countryside. Sail to explore the remains of further ancient civilisations that once populated the Nile, onboard the two-masted sailing yacht Nile Lily, a faithful replica of a 19th century dahabiya. See the fascinating monuments of the Aztecs, Maya and Zapotecs. See the Avenue of the Dead, and the Pyramids of the Moon and the Sun, including the structures characteristic monumentality ki Teotihuacán "City of the Gods".